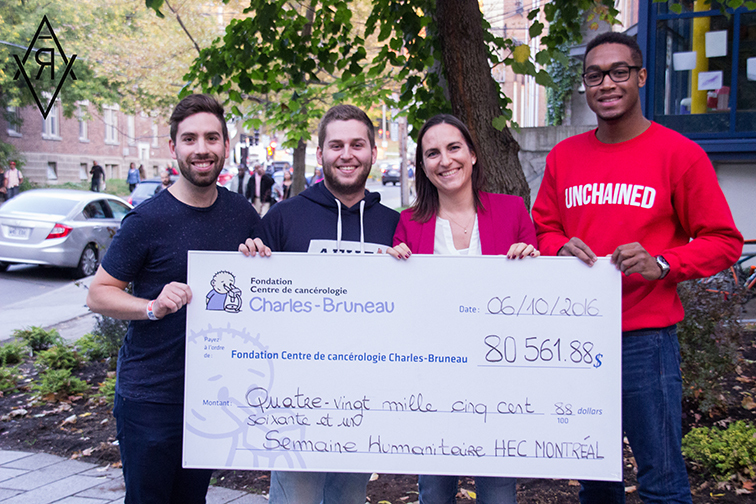 In September, HEC Montréal first-year BBA students raised $80,321 for the Fondation Centre de cancérologie Charles‐Bruneau. 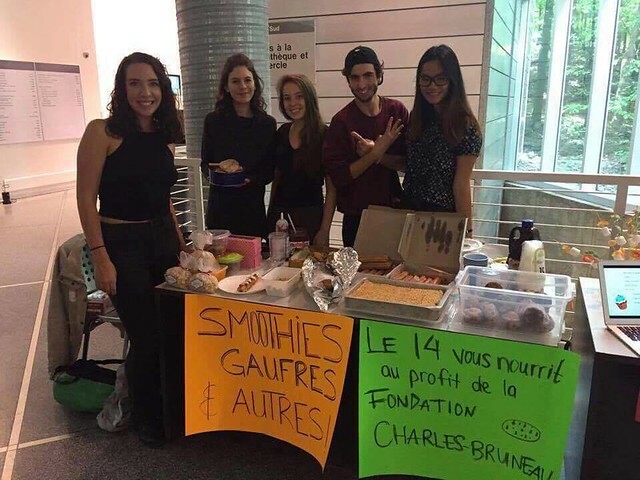 This is a record donation for the Association des étudiants de HEC Montréal (AEHEC), which organized the fundraising drive during orientation for new BBA students. More than 1,000 students were formed into 16 groups, each headed up by a 2nd-year student. Each group had to devise its own fundraising strategy. Some of them organized morning collections downtown, and others at the Bell Centre on game evenings. Other teams ran bake sales or raffles. Last year as part of the same activity, the AEHEC raised $62,586 for the Fondation Centre de cancérologie Charles‐Bruneau. The Fondation Centre de cancérologie Charles‐Bruneau, created in 1990, is exclusively dedicated to fighting pediatric cancer in Quebec. It funds research and invests in all the university hospitals in Quebec that treat these children, to help keep their facilities on the cutting edge and well adapted to families’ needs.